Want to learn more about Portugal? Here a five great reads that delve into the country’s fascinating history, provide an expats view of living there and offer an amusing insight into the locals unique traits. Before I moved to Portugal back in 2009 I read countless books about the country to help pass the time before the big move. And to learn a little more about my new home of course. Here are four of the books that I enjoyed the most, plus a cheeky plug for the one I wrote myself after living here for a few years! I envy people who are on the first steps of their expat journey right now! Jenny Grainer has been a British expat in the Algarve since 1968 and has some wonderful stories to tell about a country that has evolved hugely since she first arrived on Portuguese soil all those years ago. Some of the tales even pre-date Faro airport – a more simple time free from the hustle and bustle of mass tourism. Essentially a series of anecdotes, it taps into the heart and soul of Portugal. 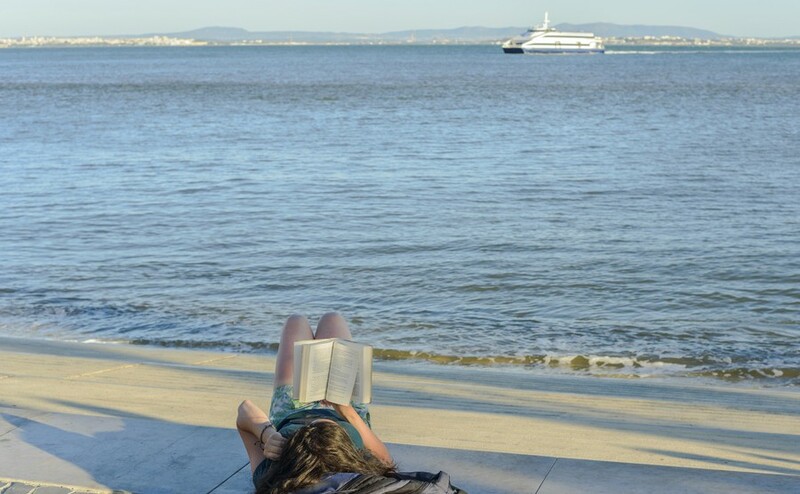 If you’re not sat in the Portuguese sun while you read it, you’ll want to board the next flight there by the time you’re done. For those wanting to find out more about Portugal’s long-term history, The First Global Village tells a fascinating tale and is easy to read. From the empire to becoming a tourist mecca, and everything in-between, this book is an essential read for anyone wanting to truly understand what makes Portugal tick. This book can easily be found in Portugal’s airport newsagent shops if you struggle to find it online. The author sadly passed away in 2003, but the book continues to be updated and is on its 12th edition at the time of writing. Part of a series covering a number of different countries, The Xenophobe’s Guide teaches you a vast amount about Portuguese culture and etiquette. So all the talk is of buying overseas is finally over and you’re actually ready to head out to Portugal for a viewing trip to find your dream home. Find out how to make the most of your visit by downloading our free guide to planning a viewing trip. It’s all very light-hearted, and to anyone who knows Portugal well, all rather true! While some locals may not appreciate the comments on their driving skills and other inefficiencies, it’s all affectionately done. The other books in the series are equally entertaining. You can’t claim to have delved into Portugal’s literary soul until you’ve read some Saramago (and Fernando Pessoa) – Saramago was awarded the Nobel Prize for Literature in 1998. More of a hefty tome than the others, Journey to Portugal tells the tale of the author’s long tour around the country, which took him off the beaten track. The text is dense and wordy, and the author undoubtedly visited a lot of churches! However, the tale is worth the perseverance. I end with the aforementioned “shameless plug” for the book I wrote with my wife, detailing our first few years in Portugal. The book was never planned. Instead we wrote it after numerous people suggested we should evolve our blog into a book. Instead of simply copying the posts, we used my wife’s standpoint rather than my own. I added some practical information for potential expats in a second section. The book makes me look back fondly on those early days, complete with their mix of wonder and naivety. I have to admit that I envy people who are on the first steps of their expat journey right now!